I never started all this publishing malarky to do anything other than publish my own books. But, over the years I’ve learned a heck of a lot about writing, creating, publishing and selling books, along with all the ups and downs the process entails. As the years rolled by I started to work with community groups and schools in helping them create and publish their own books. This then developed into publishing books for private individuals and becoming a mini-imprint boutique publisher I suppose. It has gradually grown and has mostly come through word of mouth, slowly establishing local contacts and establishing myself as a good solid publisher of books, all be it local books mostly because that’s what sells well around these parts. 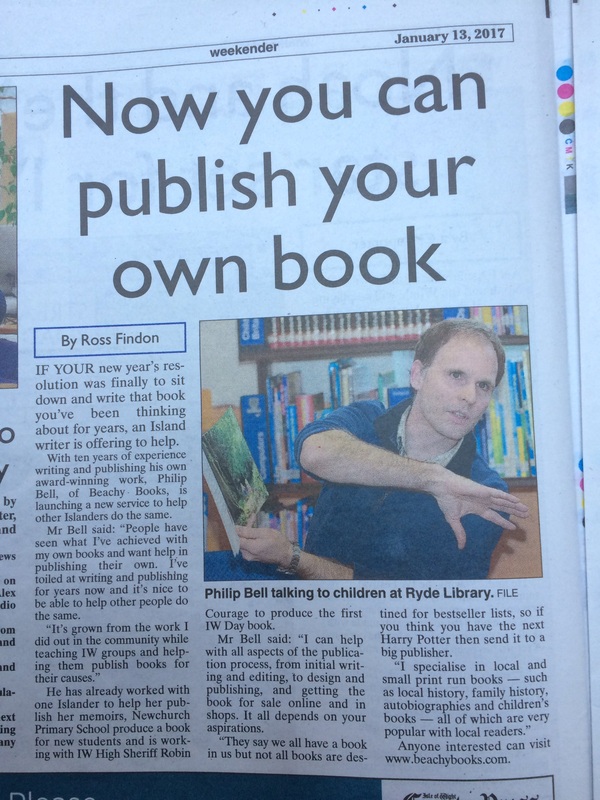 I put out an story in the local paper and it got a great response and it was amazing to hear from a range of writers who had written books ranging from children’s poetry to local history books. I’m pleased to say the work seems to be rolling in but the trouble is I’ve not had so much time to write my own books. You can’t have it all!